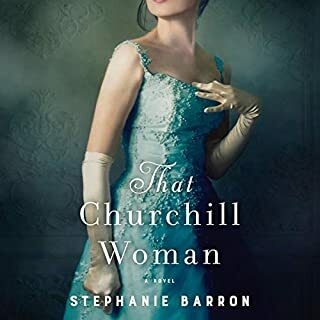 In 1905 New York City, Lily Bart is a young, witty and beautiful socialite. 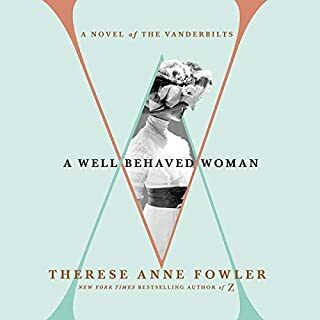 Through a series of unfortunate events, she learns of the bitter consequences for a single woman without wealth, living in an uncaring society. 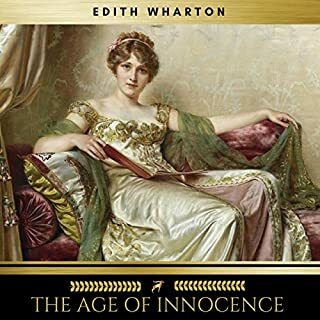 Edith Wharton stands among the finest writers of early 20th-century America. In The Custom of the Country, Wharton’s scathing social commentary is on full display through the beautiful and manipulative Undine Spragg. When Undine convinces her nouveau riche parents to move to New York, she quickly injects herself into high society. But even a well-to-do husband isn’t enough for Undine, whose overwhelming lust for wealth proves to be her undoing. Cannot recommend a better narrator! "The Glimpses of the Moon" is written by Pulitzer Prize-winning American novelist, short story writer, and designer Edith Wharton (1862-1937). It was published in 1920. Set in the early 1920s, this novel continues Edith Wharton's examination of New York society. Nick Lansing and Susy Branch are both barely getting by in the wealthy social circles they move in and they can't afford to get married. They make a deal. They will get married and stay together as long as they can but when they run out of money, they can divorce each other. No problems at all with this production! Julian Fellowes's Belgravia is the story of a secret. A secret that unravels behind the porticoed doors of London's grandest postcode. Set in the 1840s, when the upper echelons of society began to rub shoulders with the emerging industrial nouveau riche, Belgravia is peopled by a rich cast of characters. But the story begins on the eve of the Battle of Waterloo in 1815. At the Duchess of Richmond's new legendary ball, one family's life will change forever. Fellowes is a Brand but the Narrator is a Marvel! 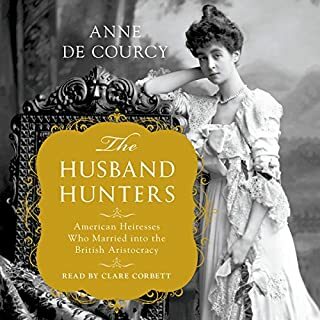 A challenge to the moral climate of the day, The Reef follows the fancies of George Darrow, a young diplomat en route from London to France, intent on proposing to the widowed Anna Leath. Unsettled by Anna's reticence, Darrow drifts into an affair with Sophy Viner, a charmingly naive and impecunious young woman whose relations with Darrow and Anna's family threaten his prospects for success. 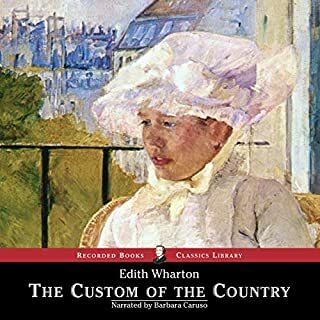 I love Edith Wharton's writing but her stories often end sadly, especially for the women. This one ends abruptly because she died before finishing it. Fortunately, she mapped out the whole story before she died. The outline for the story ends happily for the main protagonist! The writing and the realistic depiction of society in both the United States and Great Britain is perfection! What did you love best about The Buccaneers? I love historical fiction written by female authors. This did not disappoint although at times the plot seemed to wonder. The characters were well development and the sassy humor caught my attention and kept me tuned in. First part of the book concerns some (nouveau riche) girls who try, but just aren't accepted by New York society - truly an example of Rich Peoples' Problems. The young ladies head over to London where, in spite of the rigid class system there, they manage to snag a couple of swells. Part Two is a tale of "be careful what you wish for" as money and titles don't prove all they were cracked up to be - more Rich Peoples' Problems. I give the work three stars as the writing quality is good, making it a decent read for those with a strong interest in Victorian literature. A word on the audio narration: Flo Gibson can be an acquired taste, with her unusual cadence. I hadn't heard anything by her recently, so had to start over again with her style, but by the middle of the story either I'd become re-acquainted, or she'd hit her groove. The narrator was fine, but I was completely bored by this book. 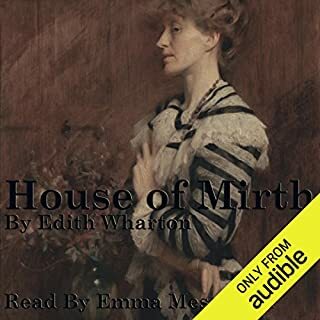 The interesting part was in the completion by Marion Mainwaring, which I had to read in print because it was not included in this audio book. Just skip to the short synopsis at the end of Chapter 29 and save yourself several hours. 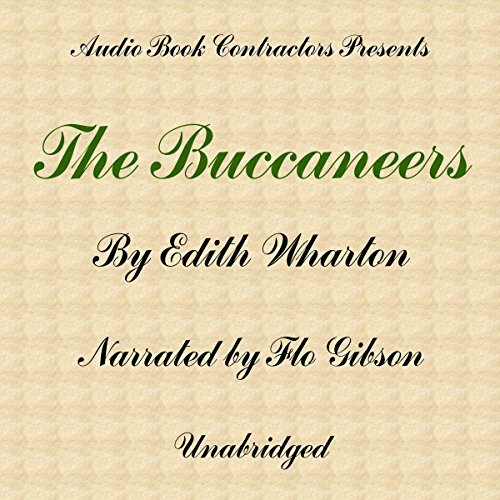 Would you consider the audio edition of The Buccaneers to be better than the print version? I love the time period of this story....I love the clothes, the rules, etc of the rich families. Gave one star because can't give no stars! Horrible story, horrible reader!! I wanted to scrape my ears off with a rusty spoon!!!!!!! HORRIBLE!!!! Would you try another book from Edith Wharton and/or Flo Gibson? No - my book club read The Age of Innocence a couple of years ago and I don't think I made it through that one either. This is also for book club. My problem with it so far (only to chapter 2) is that I can't understand the narrator because she speaks so rapidly AND has some sort of an accent. I've gone back to the beginning about 5 times and still can't concentrate enough on it for my mind not to wander. Has The Buccaneers turned you off from other books in this genre? Yes, though I'm sure my criticisms don't apply to the entire genre. See above - speaking too fast and with an (?) accent. I tried to slow the speed to .75, but that delivery wasn't good - sort of stuttering. If you could play editor, what scene or scenes would you have cut from The Buccaneers? I may try to get this as an e-book to read in print, but I'm thinking it may be a waste of money. Maybe I'll try a sample first. If you could sum up The Buccaneers in three words, what would they be? Would you be willing to try another one of Flo Gibson’s performances? The reader was not very good and she gave Conchita an Irish accent which was odd. So far I am not liking anything best. Really good book but the naration is poor and very irritating. The reader speaks so quickly that it's quite difficult to follow the story - disappointing.